Sentinel Portfolio Solutions is a specialty servicing company for the asset-based lending, banking and factoring markets. Sentinel has a unique combination of resources to help our clients with a broad range of issues from strategic planning to managing day to day operations. We understand the challenges in building and maintaining a healthy and profitable portfolio. Our team can help you tailor industry best practices from underwriting, operations, policies and procedures and staff to determine strengths and weaknesses or meet the demands created by workload fluctuations. We take a consultative approach to helping our clients be successful. Help us understand your challenges and opportunities, we’ll strive to find solutions that meet your needs and exceed your expectations. Strategically focused and remarkably responsive, Sentinel’s Transactional Engagement / Special Services group is an ideal resource to bring highly focused temporary resources to your most time sensitive projects. We can provide independent verification services ensuring compliance with your internal verification policies are being met. Sentinel strives to provide true value to our clients at every opportunity. Our Knowledge Processing Outsourcing services provide access to a level of knowledge and resources generally available only to the largest of financial institutions. Sentinel Portfolio Solutions has a customized suite of underwriting parameters to help our clients perform an objective analysis of their own underwriting. Our underwriting analysis can be combined with a simple file review or financial & debtor analytics and tailored to meet specific goals and objectives. Sentinel Portfolio Solutions has a customized suite of Operational Reviews developed to help clients perform an objective review of their internal processes. Our objective is to deliver best practices methodologies to ensure portfolio stability and security. We can support you with a rapid roll-out of debtor correspondence and communication to ensure collateral preservation during default or workout. Sentinel delivers focused, value added underwriting advisory services which starts with listening to our clients and understanding their unique risk/reward paradigm. Sentinel leverages more than 40 years of underwriting experience to support our decisions. Sentinel Portfolio Solutions utilizes the extensive experience of its operations team to deliver a best practices methodology to its underwriting & due diligence support services. We’ve been in your shoes and understand that no two companies share a similar risk/reward appetite. Underwriting is the core of your risk paradigm. Having an objective 360 degree view of risk may mean the difference between profits and losses. Our underwriting and due diligence services help our clients understand all aspects of risk contained in a portfolio or potential opportunity. Our Underwriting support services are tailored to our clients exact needs and include identification or validation of due diligence items. Sentinel Portfolio Solutions offers comprehensive Underwriting Services either at time of origination, workout or at any stage in between; we can provide you with detailed insight. Sentinel leverages experienced underwriters, due diligence professionals and operations personnel coupled with technology in order to identify risk or opportunity in a portfolio. Sentinel provides an essential service for our clients that desire a proactive approach to understanding and monitoring a customer’s true financial condition. Timely and accurate information is critical to making strategic business decisions. Effective collateral lending is a game of chess, not checkers. Knowing your clients true financial and overall condition can give you critical information to support your day-to-day decisions. We’ve created a comprehensive borrower compliance program that provides our clients with the necessary information to ensure proper collateral coverage, hidden collateral identification and default intelligence. Sentinel provides an unbiased approach to the evaluation of collateral and its unknown dimensions. Sentinel Portfolio Solutions provides critical collateral monitoring and testing to ensure the collateral presented by the borrower is materially accurate as to identify irregularities before they become a problem. Sentinel Portfolio Solutions allows entrepreneurial asset based lenders and factors to immediately benefit and profit from a proven platform. Utilizing our team’s skill set, best practices methodology and technology you can immediately position yourself for success. Our proven and highly structured process incorporates unmatched insight into the asset based lending and factoring industry, led by an experienced team of seasoned management professionals with subject matter expertise from underwriting to daily servicing. As specialists in the areas of collateral lending, we’re able to take a unique approach to a borrower’s needs, creating greater opportunities for our clients. By partnering with Sentinel Portfolio Solutions you’ll have the confidence of knowing that a team of experienced professionals is diligently watching out for your institutions best interests. Sentinel offers banks a comprehensive suite of tools and practical experience designed to monitor accounts receivables and inventory without the high costs of establishing infrastructure. Our Middle Market services are designed to assist established operations departments with high workload occasions (boarding, compliance, default, etc.) and the creation or fine-tuning of internal policies and procedures. Our institutional services are designed to provide independent third party oversight. We provide comprehensive accounts receivable and inventory collateral evaluation and monitoring services specifically tailored for the lender who needs additional support without creating the complicated infrastructure. Sentinel Portfolio Solutions provides back office support services at the direction of our clients in a wide variety of capacities. 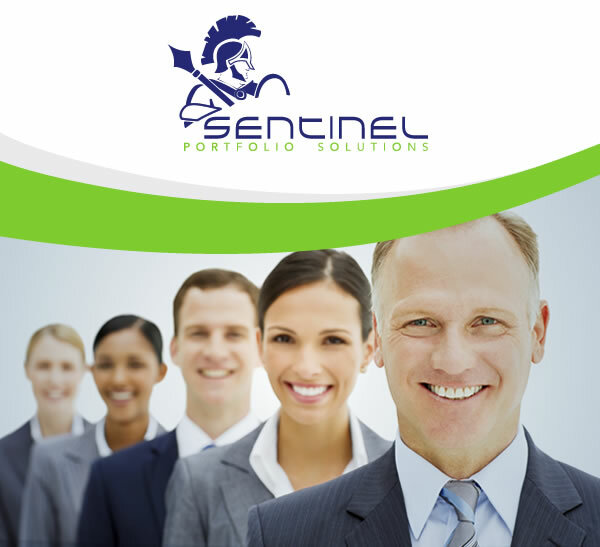 Sentinel Portfolio Solutions is committed to being the company our clients count on to get the job done right. We solve problems, break down barriers and overcome obstacles to make our clients successful. We’ve been in your shoes. As a division of Gateway Commercial Finance, LLC we practice what we deliver to our clients each and every day. Our front line experience continues to help us develop and deliver best practices methodologies that are cost effective, dependable and most important… maximize portfolio security & profitability. Sentinel conducts its business with uncompromising honesty, integrity and our team members are committed to best practices. As part of our processes, our system of internal controls includes organizational design, written policies and procedures, proven risk adverse operating practices and controls to ensure portfolio stability and security. Sentinel has a unique combination of resources to help factors and asset-based lenders deal with the full range of issues from underwriting to day to day operations. We understand the challenges in building and maintaining a secure and stable portfolio. Building an experienced workforce in the ABL/Factoring market is a daunting challenge. Add into the equation the investment required to attract, train and ultimately retain competent personnel can rapidly drain precious resources, not to mention waste precious time. Our services provide our clients with immediate access to experienced underwriting personnel, credit managers, compliance officers, workout support, portfolio management and support personnel. All for a fraction of the cost of one experienced Account Executive. Sentinel frees our clients from having to manage temporary/long term non-core functions and allows them to focus on core competencies. We’re confident with our policies, procedures and methodologies that we’re willing to participate pari-passue with our clients. We’re an active participant in our shared success. Lower operating costs while increasing revenue is a challenge every business faces. Sentinel offers our clients a skilled workforce, proven polices, effective procedures and a robust technology platform at a fraction of the cost you would spend locally. Sentinel not only provides cost advantages but can help with our client’s business operations. Aligning our services with our client’s business goals increases productivity and efficiency across multiple areas. Sentinel offers the right expertise and experience to help streamline business processes and directly contribute to our client’s bottom line. Sentinel can implement and deploy our services to our client’s in as little as 4 hours. This gives our client’s the opportunity to take full advantage of our resources when timing is absolutely critical. Mr. Marin started his career in factoring in 1995 as a business development officer with Alliance Funding, Inc. which offered a variety of financial services to businesses. In 1998, Mr. Marin joined Sun Capital, Inc., as National Business Development officer which focused exclusively on factoring. In 2001, Mr. Marin was a part of the first U.S. acquisition by Bibby Financial Services where he served as the V.P. Business Development and participated in various underwriting roles until his departure in 2007 to start Gateway Commercial Finance, LLC a 2012 Inc 5000 Member. Mr. Marin holds an Associates Degree from Century College in St. Paul, MN. Ms. Scott has more than twenty years of experience in the factoring industry, both in the UK and U.S. markets. Having started as a credit underwriter, Ms. Scott has worked in collections, client management, operations and portfolio management. For the last ten years Ms. Scott has worked for Bibby Financial Services Inc., as Head of Operations and has experience in domestic and export accounts receivable factoring and management. She has also worked with businesses to provide purchase order, trade finance solutions and letters of credit. Prior to that Ms. Scott worked in the banking industry for nine years as a retail banking manager with Scotiabank. Mr. Schneider has over twenty-five years of experience in various accounting and financial positions. He was employed by Siemens Financial Services (subsidiary of Siemens –worldwide conglomerate), for fifteen years as their North American Controller. In this role he was responsible for financial reporting, budgeting, external and internal audits and internal controls. Mr. Schneider joined Gateway Commercial Finance in 2010 as Director of Finance. Mr. Schneider manages all financial and accounting activities for the company and also serves on the Board of Directors. Mr. Schneider holds a Bachelor of Science in Business Administration with a major in Accounting from Miami University (Oxford, Ohio). Mr. Schneider is a Certified Public Accountant (Ohio license). With more than twelve years of factoring experience, Mr. Marquez understands the importance of working side by side with his client’s and is responsible for ensuring that he and his team move efficiently to meet their client’s daily working capital needs while maintaining portfolio security requirements. Prior to joining Gateway, Mr. Marquez held positions with Ocean Bank, LSQ Funding and Bibby Financial Services as an Account Executive. Mr. Marquez is currently pursuing his B.A. from Liberty University in Lynchburg VA.
Mr. Dur holds a B.S.B. in Accounting from the University of Minnesota’s Carlson School of Management. He is a Certified Public Accountant (inactive). Prior to joining Gateway, Mr. Dur worked in the Forensics and Litigation practice at Huron Consulting Group. He also worked in both the Chicago and Minneapolis KPMG audit practices with a focus on clients in the investment management arena. Mr. Dur began his financial career working at American Express Financial Advisors in Minneapolis while attending university. Our Transactional Engagement and Special Services are tailored to meet workload or other demands where specialty support services are critically important. Sentinel offers the right expertise and experience to help manage fluctuating business processes. Sentinel Portfolio Solutions utilizes the extensive experience of its operations team to deliver best practice methodology across multiple departments. Our proven and highly structured process incorporates unmatched insight, led by an experienced team of seasoned management professionals with subject matter expertise from underwriting, daily servicing and accounting. Sentinel offers our partners a true turnkey solution to entering the asset-based lending or factoring markets efficiently with all of the necessary bells and whistles of an established firm without the significant the cost associated with a start-up. Seasoned Management and Operations Team. Proven Policies and Effective Procedures.